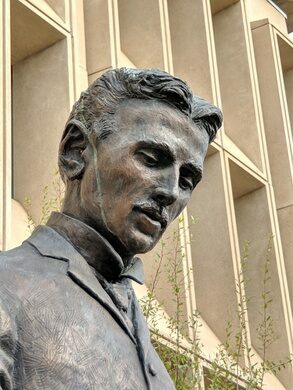 Monuments to Nikola Tesla, a pioneer in electricity and wireless information, abound throughout the world. 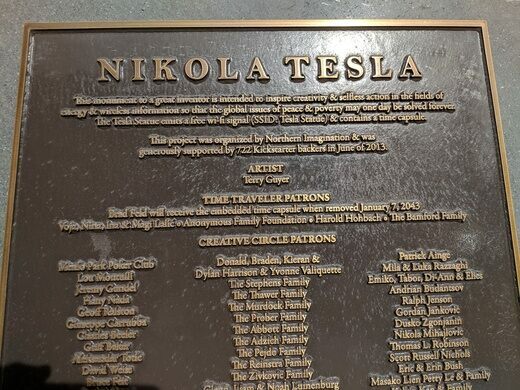 This one in the heart of Silicon Valley houses a time capsule to be opened in 2043 on the 100th anniversary of the inventor’s death. But what makes it special is that it also—appropriately—serves as a Wi-Fi hotspot. 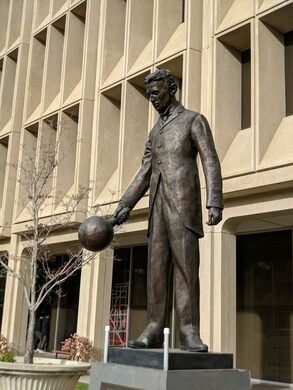 Visitors can sit nearby and surf the web to their hearts’ content by connecting to the “Tesla Statue” wireless network. 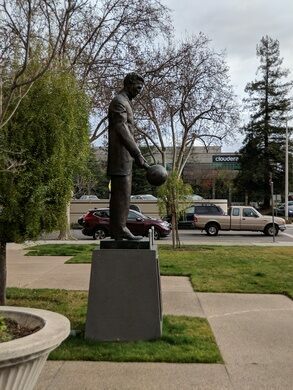 Also, somehow appropriate to Silicon Valley, the statue has its own website. 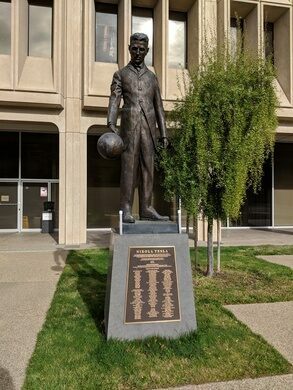 Creating Palo Alto’s ode to the great inventor was a community effort. Artist Terry Guyer created the statue, which was backed by 722 people on Kickstarter. After the statue was successfully financed, it was unveiled on December 7, 2013. A plaque on its base explains both the Kickstarter campaign and the Wi-Fi network. You can walk by the statue at any time.